The Adventures of Strongarm & Lightfoot – Blades of Glory: Managed to sneak a little more work in over the weekend. My Saturday was occupied with Robin Hood Faire auditions but I had Friday and Sunday to work, and my word count is now past the 42,000 word mark. My last full writing weekend is coming up, so I hope to push through a good chunk of the story before I have to dedicate myself to teaching people who to pretend to kill each other. 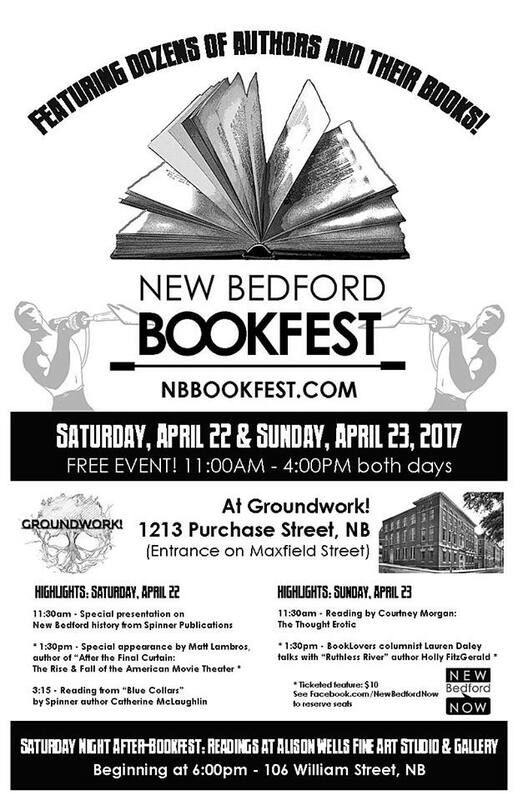 Saturday, April 22 and Sunday, April 23, 11 AM to 4 PM: New Bedford Book Festival. This is coming up fast, and the organizers are in full-on promotional mode. If you’re in the area that weekend, go check out all the great local authors who’ll be there selling books. The final details are still being hammered out, but this summer I’ll be participating in the 2017 Cape Cod Teen Writers Conference, specifically on an authors panel on the final night of the conference. K.R. Conway is putting this thing together and invited me to participate, since I’m a native Cape Codder and need to periodically return to my native soil — or sand, as the case may be — to recharge.